In a 2015 study, Toast, a renowned restaurant management technology firm, did a study that analyzed the gift card purchasing and redemption habits of more than 500 operations. Both digital and printed types of gift cards were included in the study. After they analyzed the information, they segmented the data by restaurant type. Each segment included at least 15 restaurants. In full service restaurants, customers with gift cards spent 72% more than customers without them. Gift cards are a good strategy for holidays but overall, do well all year long. 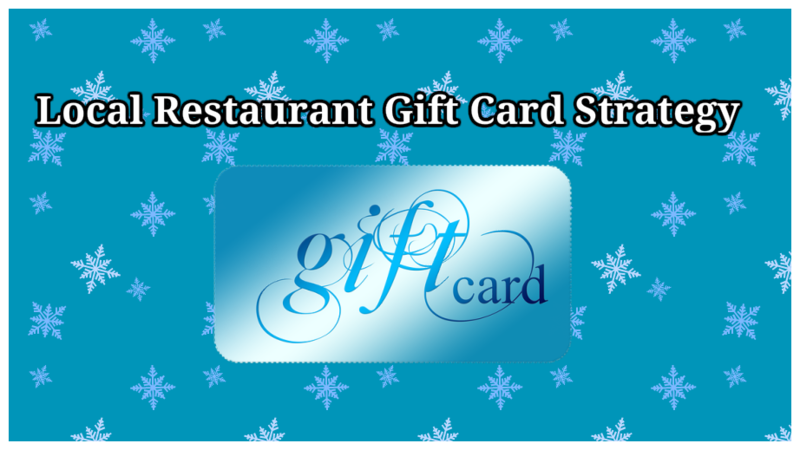 Almost a third of restaurant gift cards are never fully redeemed. Almost half of gift card users spent more than the value of their gift card. Fishbowl, a software and services company for restaurants, provides a case study done in 2014, with a steakhouse client. They reported that a gift card promotion driven by social media and email marketing campaigns increased their clients gift cards sales by 150% over the previous year’s sales. Even more impressive is that it was done in one day! The clients sold their $100.00 gift cards for just $50.00 for just one day by aggressively marketing them online. They sent a series of email messages to the members of the restaurants loyalty clubs. They posted the offer to both their Facebook page and Twitter page. They ran two paid Facebook ads that targeted new prospects in their local zip code area. This resulted in thousands of gift card sales and hundreds of thousands in sales at a cost of about $0.70 per purchase. Of course not every restaurant has all the pieces already in place to pull off such a campaign however, now is the time to get started putting things in place for this holiday season. Decide on the tool. There are a number of different tools and options when it comes to a gift card program. Restaurants that integrate digital cards via their POS system have the added benefit of tracking their sales and seeing what’s working for them and how the cards are being used. Link your cards to a loyalty program such as a birthday club or a craft beer membership. This will help sell more gift cards because they’re personalized to an interest group. It will also help you retain the user after the gift card is redeemed by having the ability to market future offers and specials to the customer. Be active on your social media platforms so customers think of you on gift giving occasions. If you aren’t already list building, get started now! A gift card promotion can drive sales for you this year but more importantly, provide you with long term customer loyalty if it is done with a strategy planned with foresight. If you need help getting started with a gift card promotion or getting your customer loyalty programs set up, call us for a free consultation.